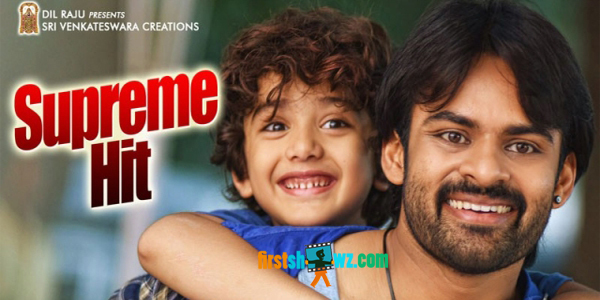 Sai Dharam Tej and Rashi Khanna's 'Supreme' was released on May 5th to a superb response across all areas. Presented by Dil Raju,directed by Anil Ravipudi and produced by Sireesh on Sri Venkateswara Creations banner, the film is collecting excellent revenues in all areas. From this Friday onwards, 'Supreme' movie will be available free of cost for differently abled persons in all single screen theaters across the Telugu states. A differently abled person and one companion can watch 'Supreme' free of cost.
" A positive attitude and mental strength will help us face whatever situation life throws at us. In "Supreme", the fight with differently abled persons is winning tremendous response. We have organised a special show for differently abled persons in Prasad Labs and the entire team cannot forget the way in which they cheered when that fight came on screen. A differently abled person and one companion can watch 'Supreme' free of cost from this Friday onwards across Andhra Pradesh and Telangana. This decision has been taken to send out a positive message to society", said producer Dil Raju.